In a wide-ranging interview with MARCA’s Gerardo Riquelme, the Basque was asked if things would be different now that Woods appears to have lost his aura of invincibility. 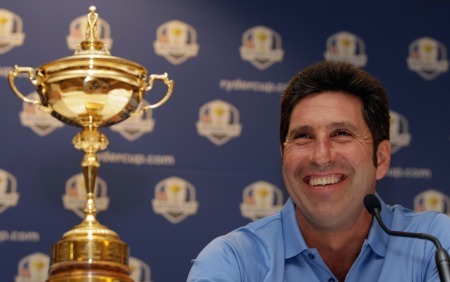 But Olazábal said: “Well Tiger will still go on being Tiger and Mickelson will go on being Mickelson. No one on the European team will be afraid to play Tiger, no, but they do know that he is going to be very difficult to beat. He’s not playing like some nobody. As for the arrival of the McIlroy Era, Olazábal added: “Golf has eras that last two or three years and then suddenly those eras end and others come along. And then they come back again. 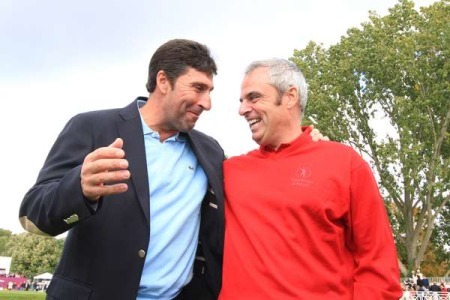 He also revealed he’s spoken recently to his old partner Seve Ballesteros - in daydreams. Q Have you imagined how Seve would act in certain circumstances? 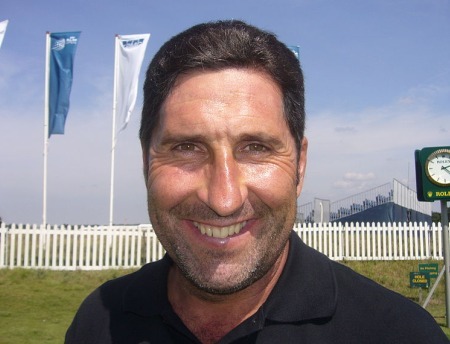 Olazábal also revealed his thinking on his wildcards, revealing that Miguel Ángel Jiménez was in his thinking until the final qualifying event, the Johnnie Walker championship at Gleneagles. As for his fear of failure, Olazabal accepts that the captain will always be the goat if the team loses.